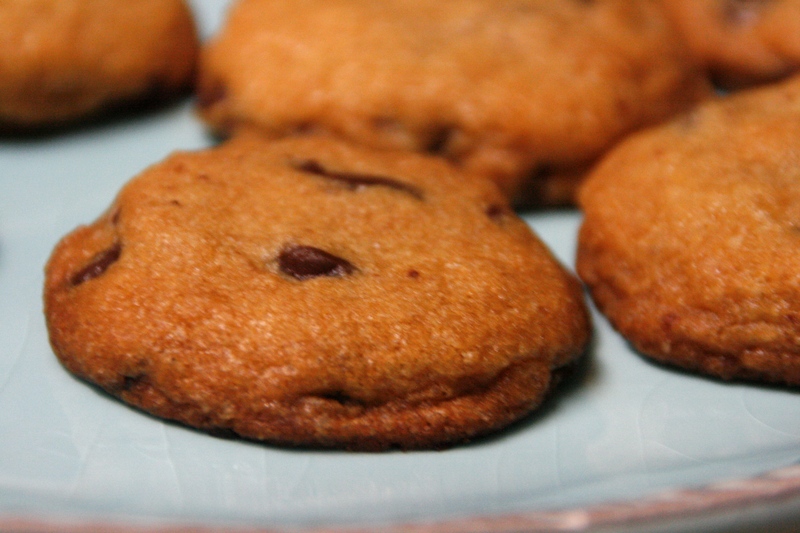 For years, I’ve been considering whether my favorite chocolate chip cookie recipe was, well, wrong. 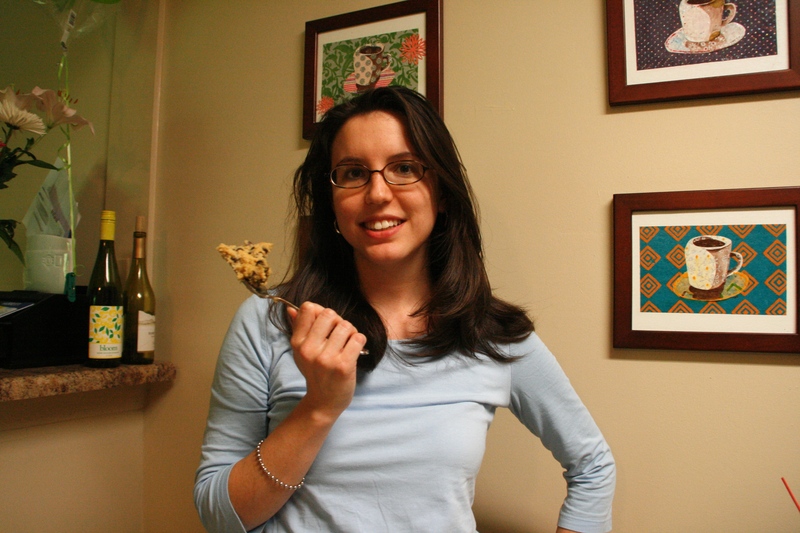 That the whole time I’d pledged allegiance to the original Toll House classic, out there existed another cookie recipe that was superior in chocolate content, chewiness and cookie dough consumption potential. 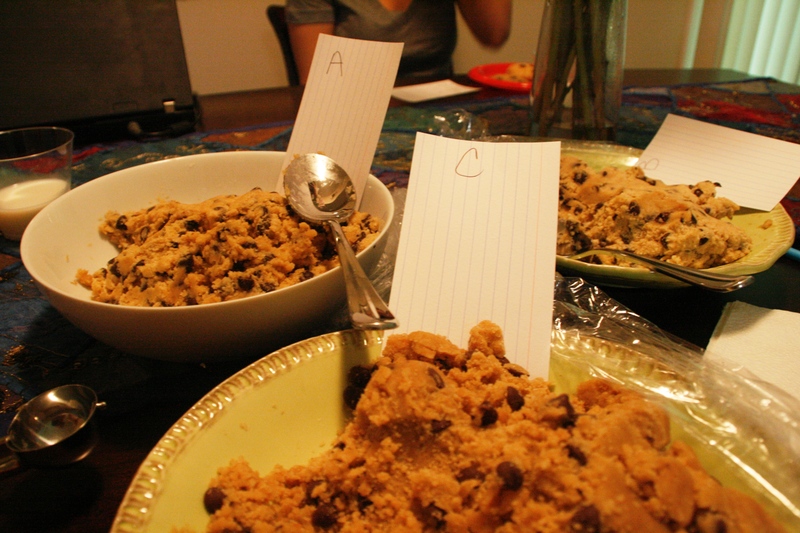 For that reason, I decided to host a chocolate chip cookie tasting. 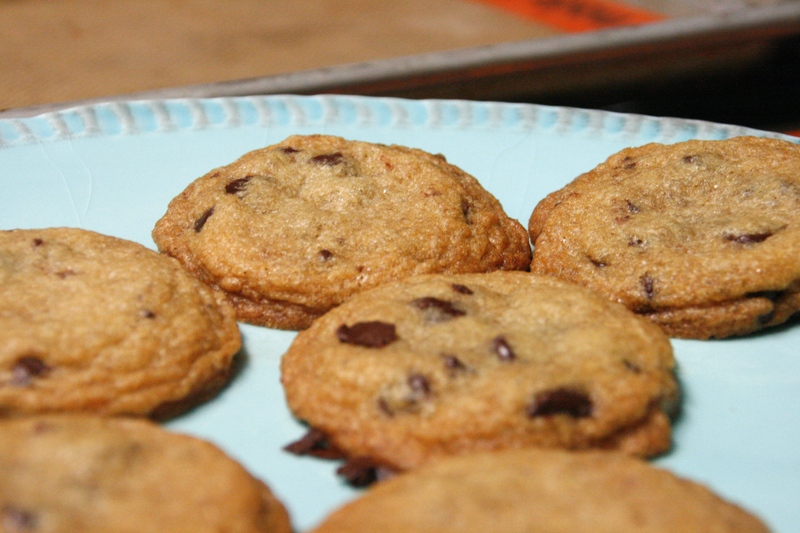 I carefully selected the recipes and not-so-carefully selected the judges, culminating in an afternoon of sugary, buttery, chocolatey goodness and 120 cookies in my kitchen. (I know. I should have halved the recipes.) 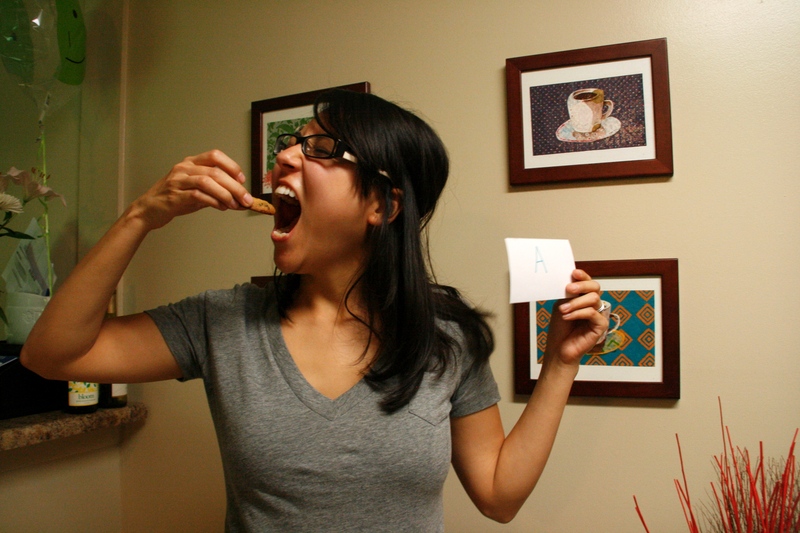 The judges were given index cards on which to rank each of the three cookie recipes on a scale of 1 through 5, 1 being the worst and 5 being the best. I also asked the judges what their favorite cookie was overall and, if each cookie was a celebrity, which celebrity it would be. As you can see, the race was a close one. 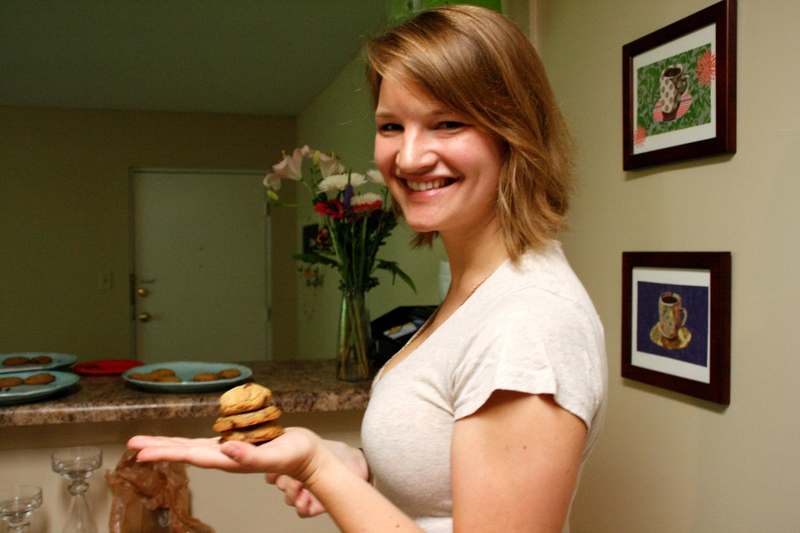 Cookies A & B were quite similar in their ingredient ratios, but not quite. Check out each cookie’s profile below. 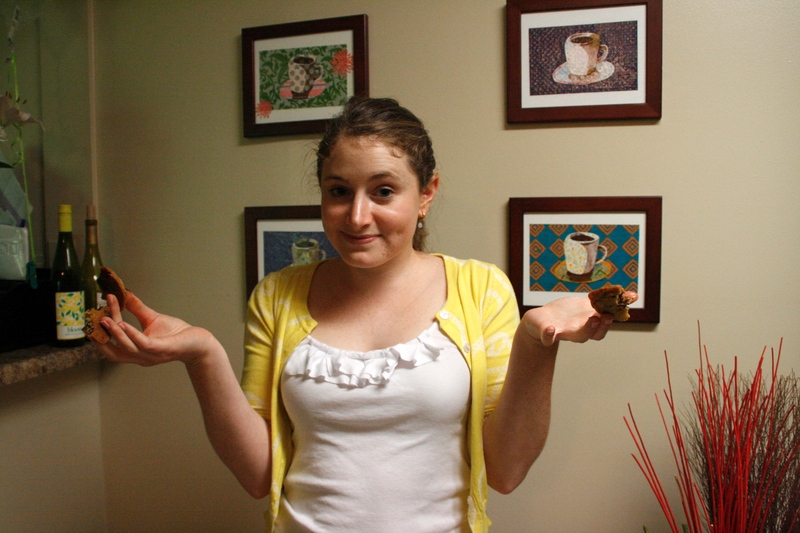 As you can see, our results were inconclusive. Cookie B won in rankings, but the majority of judges preferred Cookie A. I felt bad for Cookie C, because I wanted to believe that the extra step (browning the butter) would be somehow redeeming. Rachel said it was “trying too hard.” Naturally, I have to try making it again, just to be sure I didn’t mess up royally during the production process. I’d say that if you like a chewier cookie, go for B. If you like a softer cookie, go for A. Melissa also wavered between A and B, but said that A had “some magical superiority” that she couldn’t quite put her finger on. If you like your cookie GTL-style, go for C.
Can I just say that this decision was really, really challenging? 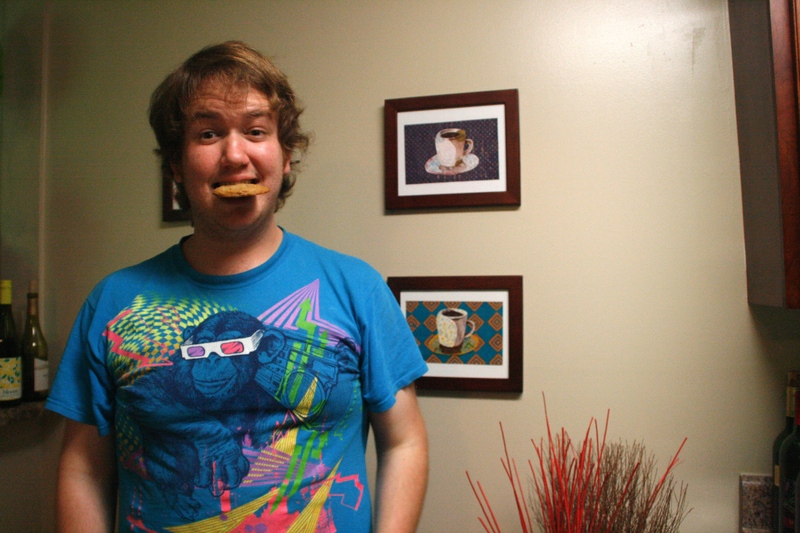 You all love cookies–we’re kindred spirits. Which is why everyone who commented is invited to my cookie tasting. I can’t deny you a love we share. That’s right; acruisingcouple, deMandy, Hannah, Courtney, Leah, Chelsey, Gwynne, Meghan, Andrea, Carly, Molly, Lauren and Melissa are all invited. 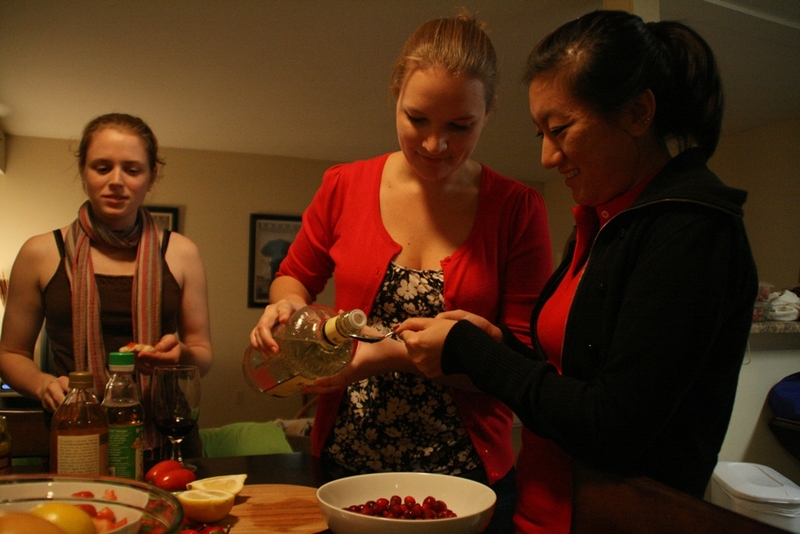 The tasting will be from 2 to 4 (approximately) on April 23rd. If you’re still interested in attending, please email me at nestmeg [at] gmail [dot] com by Monday, 4/18 at 9 p.m. This is gonna be sah-weet! Oh, and by the way, if you love me, or if you love when good things happen to good people, OR if you love love, you should click this link and give it a thumbs up (the icon is above the video). I’d like to take this opportunity to brag a lil’ bit. 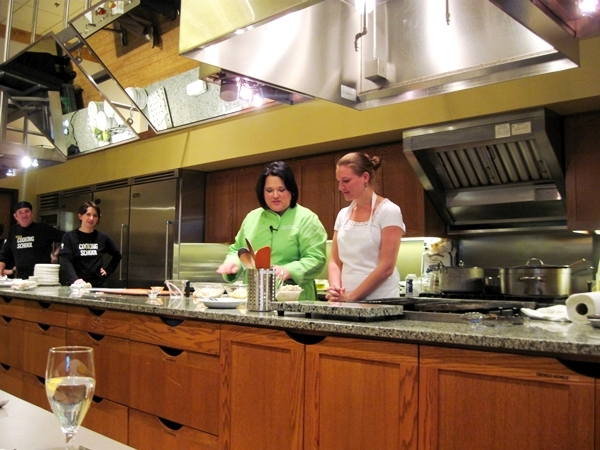 I have the privilege of shadowing Sandra Gutierrez this semester for my food writing class and, as if that’s not enough, she had me help her with a demonstration at her last A Southern Season cooking class. 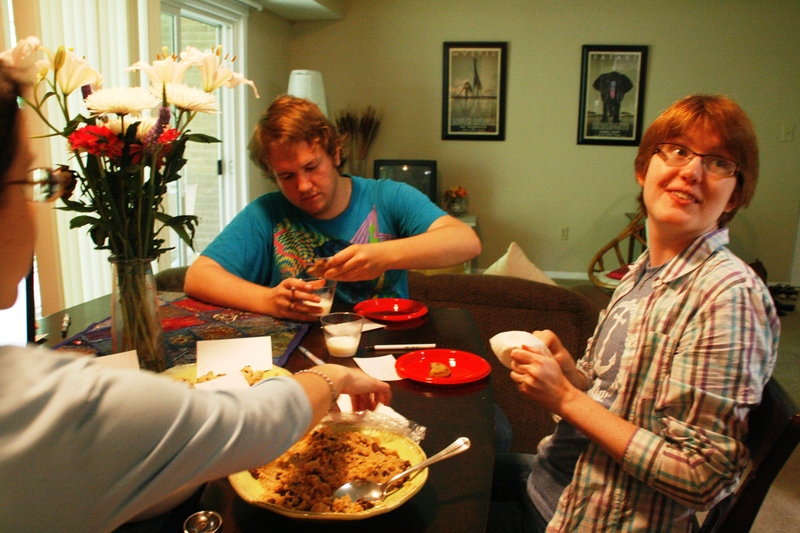 The photo above represents how I will look on my future cooking show. Except decidedly less… pink. I know what you’re probably thinking based on the title of this entry. Flavor tripping? Is Meghan blogging about drugs in addition to food? Not quite. Kind of, but not quite. 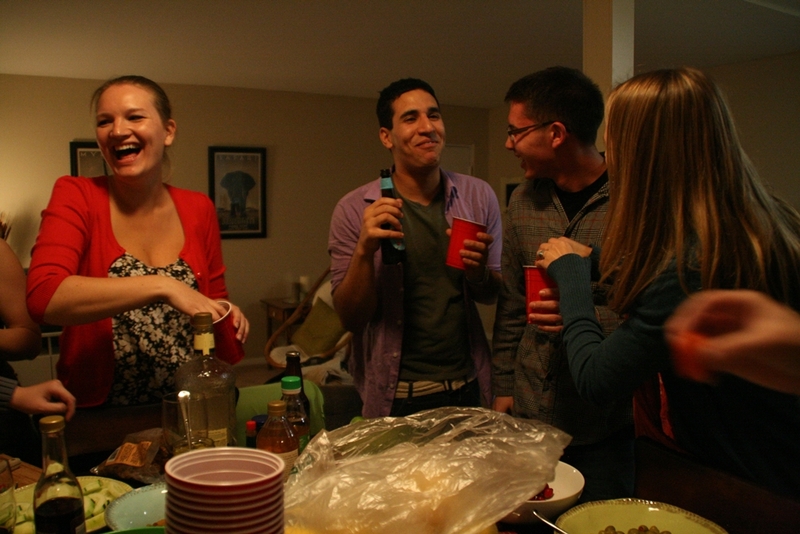 On Friday, the roommate and I hosted a flavor tripping party sponsored by mberry**. Not familiar with flavor tripping? I learned about it last year in class, but had never tried it. Basically, miracle fruit temporarily alters the tastebuds to make bitter and sour flavors taste sweet. It’s, well, pretty sah-weet. This New York Times article covers the concept better than I could, but imagine sucking on a lemon and tasting lemonade. It’s wild. Charles Lee, the founder of mberry, sent us miracle fruit in the form of tablets, which are less perishable and last longer than the original berry form. First, we tried all the foods plain. 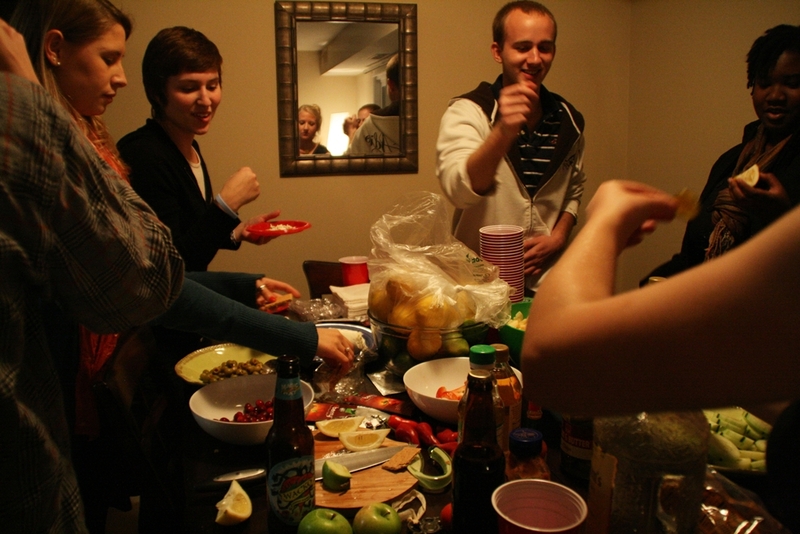 The table’s spread was pretty unusual–lots of acidic foods like lemons, limes, grapefruit, tomatoes and vinegar. An acid reflux sufferer’s worst nightmare, basically. 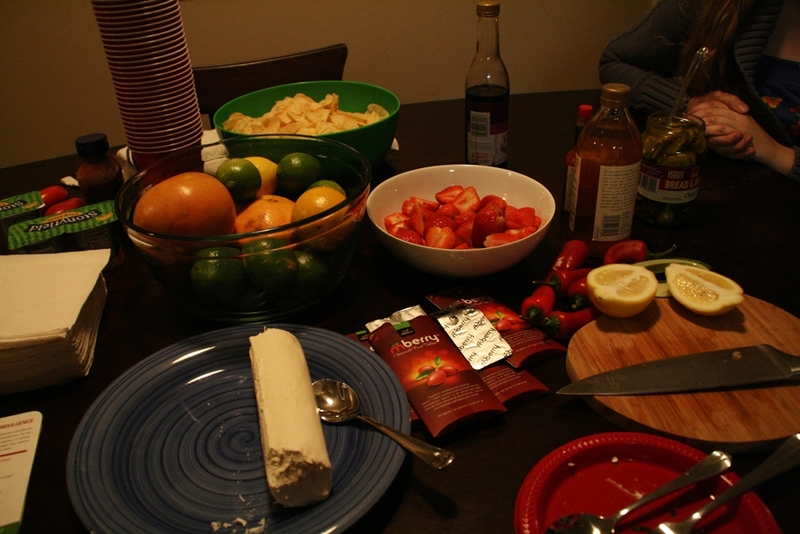 We also had goat cheese, chilis, strawberries and salt & vinegar chips. After we reminded our tastebuds of what the foods taste like in their normal state, we let the tablets dissolve on our tongue and cover our palate, waited a minute, and then, SHA-ZAM! The tablets worked differently on each person. 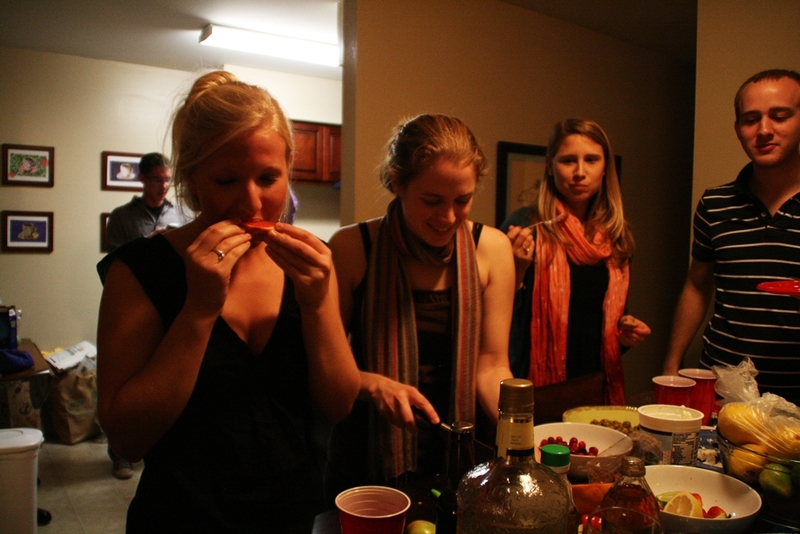 We all agreed that citrus fruits tasted especially strange since they didn’t elicit any puckered faces. 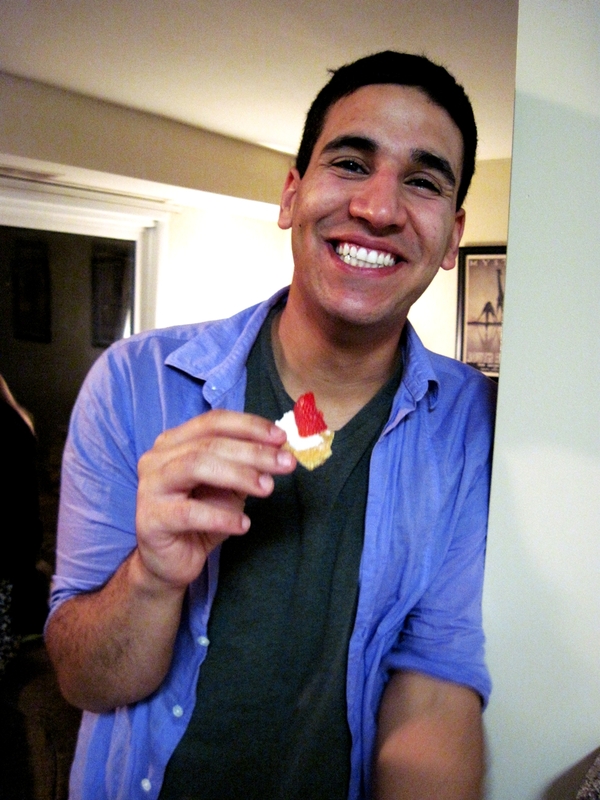 Everyone’s favorite combination of flavors was suggested by Charles–graham cracker, goat cheese and strawberries. 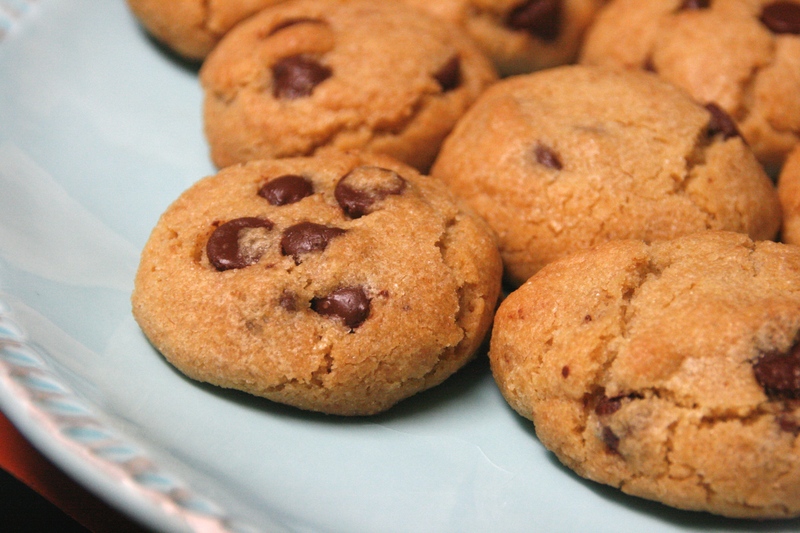 (I also added semisweet chocolate chips.) This combo tasted exactly like strawberry cheesecake, since strawberries’ sweetness was exacerbated and even the goat cheese tasted sweet. We demolished an entire roll of goat cheese in under 15 minutes, if that’s any indication of how delicious our healthier strawberry cheesecake tasted. I could definitely see these tablets aiding people on low-sugar diets or people who have Type II Diabetes. We also had a fun little competition to see who could come up with a unique and delicious flavor combination. 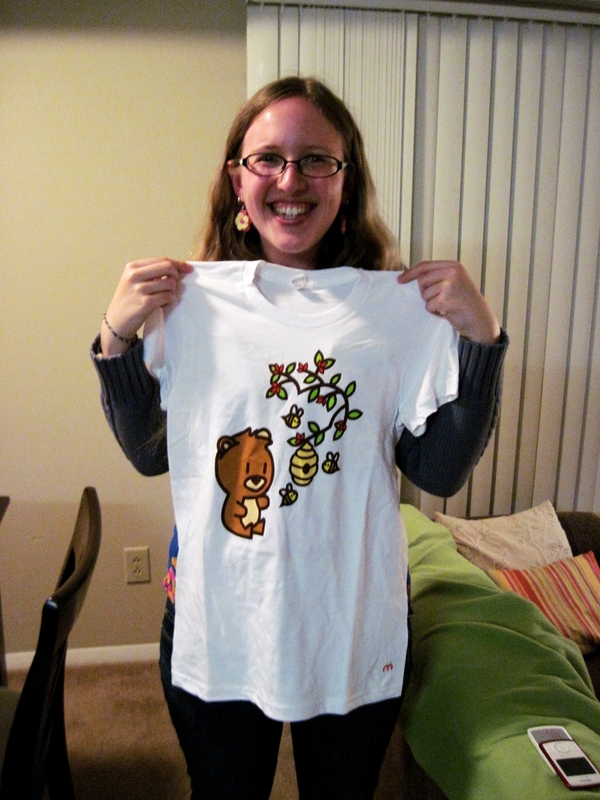 The winner received an mberry t-shirt. 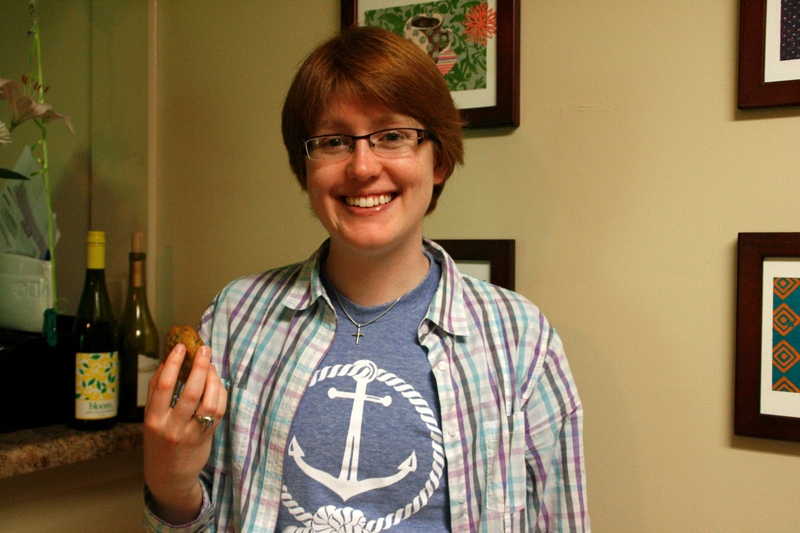 Katie squeezed lemon on goat cheese and graham cracker to make lemon pie and earned herself the prize. Yum. Now, here’s the fun part: Charles is offering my readers a buy one, get one free discount on mberry tablets. Just put two packages of tablets into your shopping cart and enter the code “pricharm” at checkout. There are 10 tablets in each package, and the tablets can be split in half to share the flavor tripping love. The mberry store link is here: http://muse.mberry.us/products/ Stock up quickly, as this code expires at 11:59 p.m. tomorrow (Monday). I think these packages would make great stocking stuffers, or you could even host your own flavor tripping party. Thanks to Eliza Kern for being my official photographer for the night. I’ll post more of her pictures tomorrow. She documented my day on Friday for a photojournalism class. It was like having my own paparazzi. **Disclaimer: mberry provided the tablets free of charge, but opinions are my own. Not that I’m capable of suppressing my opinions, in any case. 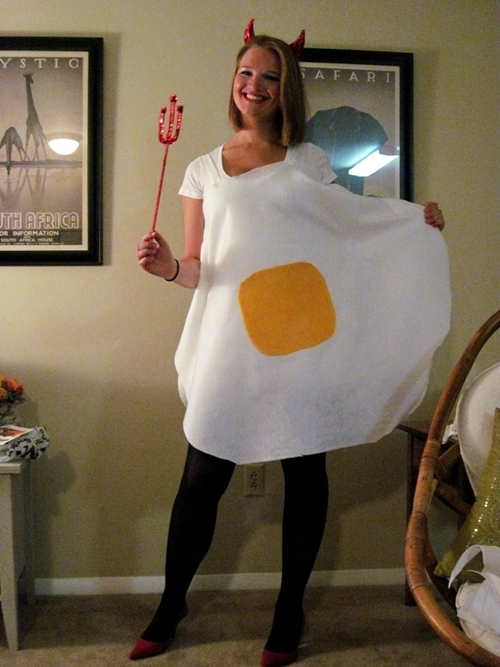 I dressed up as a “deviled” egg for Halloween. I know, I know. I have a problem. Food consumes my life.